The City of Corona Adult Fastpitch Softball Program is wholly owned and sponsored by the City of Corona. 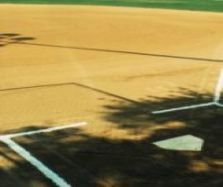 The Corona Adult Fastpitch Softball Program is conducted two seasons per year @ Promenade Park. Corona is a "Full Service MLS program" utilizing Major League Softball's computerized scoring services with instant game and cumulative statistics, individual awards packages for 1st-Place AND 2nd-Place finishers, awards for League Leaders, and now, Web Hosting Services all included in the Registration Fee! * Visit the REGISTRATION FLYER for detailed registration information. 4:00 ~ 5:30 ~ 7:00 p.m.